celebrations, the Pats wore green-and-white uniforms. D Shaun Heshka (Everett, 2003-06) was traded by Ak Bars Kazan to Admiral Vladivostok (both Russia, KHL) for a second-round pick in the 2015 KHL junior draft. This season, with Kazan, he had a goal and five assists in 22 games. Last season, he had eight goals and 22 assists in 54 games with Kazan and played in the 2014 KHL All-Star Game. . . .
D Logan Pyett (Regina, 2003-08) has been released by Admiral Vladivostok (Russia, KHL) by mutual agreement. This season, in 21 games, he had four goals and three assists. Last season, with Vityaz Podelsk (Russia, KHL), he had five goals and six assists in 33 games. He was traded to Vladivostok in December and had a goal and four assists in 17 games. . . .
D Dave Sutter (Seattle, 2010-12) has been loaned by La Chaux-de-Fonds (Switzerland, NL B) to Fribourg-Gottéron (Switzerland, NL A). This season, with La Chaux-de-Fonds, he had two assists in 14 games. Last season, with Red Ice Martigny (Switzerland, NL B), he had 14 points, including three goals, in 45 games. Marc Habscheid had been wanting to get back into the coaching game pretty much since he was removed as general manager and head coach of the Victoria Royals after the 2011-12 season. Well, he’s back, this time as the head coach of the Prince Albert Raiders, who fired head coach Cory Clouston on Friday morning. According to a Raiders news release, Habscheid signed on for the remainder of this season. The Raiders, under interim head coach Dave Manson, the team’s associate coach, beat the Warriors in Moose Jaw, 6-3, on Friday night to improve to 7-9-0. On Saturday night, the Raiders beat the visiting Saskatoon Blades, 5-2. 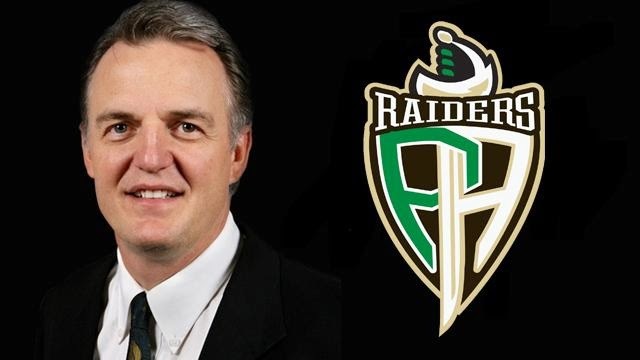 Habscheid, 51, becomes the 14th head coach in Raiders’ history. The Swift Current native is no stranger to the WHL. A gifted offensive player, he played two seasons (1980-82) with the Saskatoon Blades before going on to a lengthy pro career that included 345 NHL games and stints with Canada’s national team. After retiring as a player, he spent two seasons as head coach of the Kamloops Blazers and four-plus seasons with the Kelowna Rockets, a team he guided to the 2004 Memorial Cup championship. Kelly Guard, now an assistant coach with Prince Albert, was Kelowna’s goaltender that season. Habscheid took over as general manager and head coach of the WHL’s Chilliwack Bruins prior to the 2009-10 season. That franchise relocated to Victoria over the summer of 2011 and Habscheid made the move, too. With that, Habscheid, who owns a ranch near Swift Current, seemed to drop off the hockey map, although his name popped up at various times over the summer as 10 WHL teams made coaching changes. F Connor McDavid had a goal an three assists Saturday as the host Erie Otters dumped the Ottawa 67’s, 7-4. McDavid has 42 points, including 14 goals, in 14 games. . . . The Otters, under former Kootenay Ice head coach Kris Knoblauch, are 13-0-1. I actually meant to mention this in yesterday’s post. Dorothy and I were in a Kamloops restaurant (Senor Froggy) having lunch on Friday afternoon, when the junior B Grand Forks Border Bruins of the Kootenay International Junior Hockey League dropped in for a pregame meal. We had been forewarned that the noise level might increase, but that never happened. This was a well-behaved group of young men. The Regina Pats called up F Erik Gardiner, 15, from the midget AAA Prince Albert Mintos on Saturday. Gardiner, a second-round pick in the 2014 bantam draft, has 13 points, including five goals, in 11 games with the Mintos. He is the younger brother of Prince Albert Raiders F Reid Gardiner. . . . The Pats also returned G Tyler Brown, 17, to the MJHL’s Winnipeg Blues. He got into two games with the Pats, going 1-1-0/2.00/.933, in the absence of G Tyler Fuhr, who returned to the team earlier in the week. If you’re a baseball fan and watched the World Series on TV, here’s a good read for you. It’s Richard Sandomir of The New York Times offering up his opinion on the Fox Sports crew and the job it did calling the seven-game Series. It’s right here. In Prince Albert, D Sawyer Lange had a goal and three assists as the Raiders bounced the Saskatoon Blades, 5-2. . . . The game was the first for the Raiders under head coach Marc Habscheid, whose signing was announced earlier in the day. . . . Lange has 16 points, three of them goals, in 17 games. He also has 100 regular-season points in 216 games. . . . F Craig Leverton added a goal, his ninth, and two assists for the Raiders, who scored the game’s last four goals. . . . D Thomas Andrlik broke a 2-2 tie with his second goal of the game at 15:36 of the second period. . . . Saskatoon F Alex Forsberg scored his eighth goal. . . . Blades G Alex Moodie kicked out 43 shots. . . . In Cranbrook, F Jaedon Descheneau scored 10 seconds into overtime to give the Kootenay Ice a 6-5 victory over the Lethbridge Hurricanes. . . . The Ice actually led this one 4-0 but needed a goal from F Levi Cable with 52.9 seconds left in the third period to force OT. Cable scored with two Hurricanes in the penalty box and Ice G Wyatt Hoflin on the bench for the extra attacker. . . . The Ice had lost its previous seven games. . . . F Zane Jones scored three times for the Hurricanes, who erased a 4-0 deficit in the second period. . . . Jones has nine goals this season. . . . F Taylor Cooper gave the visitors a 5-4 lead at 12:48 of the third. . . . Cable had two goals, giving him five, and an assist, while Descheneau, F Luke Philp and D Rinat Valiev each had a goal and two helpers. . . . The Ice was without D Tanner Faith, who apparently was injured during a fight with Red Deer D Devan Fafard on Friday night. . . . Ice F Tim Bozon remains out with an undisclosed injury, while F Sam Reinhart, returned by the NHL’s Buffalo Sabres on Friday morning, wasn’t in the lineup, either. . . . Lethbridge F Ryley Lindgren didn’t play after suffering an undisclosed injury on Friday night. . . . The Hurricanes have at least a point in six of their last seven games. . . . In Medicine Hat, G Jordan Papirny turned aside 34 shots to spark the Brandon Wheat Kings to a 4-0 victory over the Tigers. . . . The Wheat Kings were playing their seventh game in 11 nights. They finished 5-1-0 on the seven-game road swing, including a 4-1-0 run through the B.C. Division. . . . That was Papirny’s first shutout of the season and second of his career. . . . F Jesse Gabrielle had a goal, his 10th, and an assist for Brandon. . . . Wheat Kings F Tim McGauley got the game’s first goal, his seventh, just 33 seconds into the first period. . . . Brandon F Rihards Bukarts had one assist and now is tied with Kamloops F Cole Ully for the WHL scoring lead. Each has 26 points, including nine goals, in 16 games. . . . Rob Henderson of the Brandon Sun has a game story right here. . . . In Everett, G Austin Lotz stopped 21 shots to lead the Silvertips to a 3-0 victory over the Edmonton Oil Kings. . . . Lotz has one shutout this season and seven in his career. . . . The Silvertips (10-1-3) have won four in a row. . . . Everett scored once in each period, with F Ivan Nikolishin getting the winner, his fifth goal of the season, at 15:11 of the first. . . . D Cole MacDonald had a goal, his fifth, and an assist, while Kevin Davis, his defence partner, had two assists. . . . Davis has 12 points, including 10 assists, in 14 games. Last season, in 65 games, he had a goal and eight assists. . . . The Silvertips, the WHL’s least-penalized team, didn’t take any penalties in this one, the first time that has happened in franchise history. . . . At the same time, Everett has at least one PP goal in 13 straight games. . . . Edmonton F Mads Eller was back in the lineup after missing six games with an undisclosed injury. . . . D Mirco Mueller, who spent the past two seasons with Everett, played his 10th NHL game with the San Jose Sharks last night, meaning the first year of his three-year contract kicks in. Mueller, 19, was the 18th overall selection in the NHL’s 2013 draft. . . . In Kent, Wash., G Cody Porter stopped 38 shots to lead the Vancouver Giants to a 1-0 victory over the Seattle Thunderbirds. . . . Porter, a 17-year-old from North Vancouver, earned his first victory and first shutout in his fourth appearance. . . . F Alex Baer scored the game’s lone goal, his sixth, on a PP at 12:46 of the third period. . . . It was the Giants’ first road victory of the season. It came in their seventh game away from home. . . . Thunderbirds D Evan Wardley returned to the lineup, having served a seven-game WHL suspension. . . . Before the game, the Thunderbirds released G Logan Flodell, 17, from their roster. Flodell, who made one appearance with Seattle, is expected to join the SJHL’s Nipawin Hawks. Flodell, from Regina, was a third-round pick in the 2012 bantam draft. . . . That leaves the Thunderbirds with Taran Kozan, 20, and Danny Mumaugh, 18, as their goaltenders. . . . In Portland, F Paul Bittner scored at 2:58 of OT to give the Winterhawks a 3-2 victory over the Kelowna Rockets. . . . It was Portland’s first home victory in eight tries this season. . . . F Ethan Price scored his first goal at 11:35 of the third period to give the Winterhawks a 2-1 lead. . . . Kelowna D Devante Stephens got his first goal at 12:59 to pull the Rockets even. . . . F Rourke Chartier scored his 12th goal for Kelowna in the first period. . . . Portland F Oliver Bjorkstrand had opened the scoring at 5:35 with his 10th goal, and his third shorthanded score of the season. . . . Portland G Michael Bullion stopped 31 shots in his first WHL start. . . . The Rockets, the CHL’s top-ranked team, now are 13-1-1. . . . In searching for offence, the Winterhawks split up what had been their big line of Bjorkstrand with Nic Petan and Chase De Leo. . . . The Winter hawks (6-10-2) lost D Blake Heinrich to a charging major and game misconduct for a hit on Kelowna F Tyson Baillie at 19:14 of the second period. . . . The Rockets had won 5-0 in Portland on Thursday night. . . . The Winterhawks are at home to the Edmonton Oil Kings tonight. The Oil Kings, the defending Memorial Cup champions, beat the Winterhawks in seven games in last season’s WHL championship series. . . . That was the third straight WHL final to feature these two teams. . . . In Moose Jaw, D Spenser Jensen drew two assists to help the Warriors snap a five-game losing skid with a 2-1 victory over the Calgary Hitmen. . . . F Kolten Olynek, with his second goal of the season, opened the scoring shorthanded at 4:07 of the first. . . . F Jack Rodewald, with his eighth, gave the hosts a 2-0 lead at 14:38 of the second. He also had an assist. . . . Calgary F Radel Fazleev, with his fifth, got the Hitmen to within one at 17:10 of the third. . . . Moose Jaw G Zach Sawchenko stopped 20 shots, eight fewer than Mack Shields of Calgary. . . . The Hitmen have lost four in a row. . . . Moose Jaw was playing its sixth game in nine nights. . . . In Regina, the Pats got shootout goals from F Morgan Klimchuk and F Connor Gay to beat the Swift Current Broncos, 2-1. . . . Klimchuk, with his fourth goal of the season, opened the scoring at 15:33 of the first period. . . . Broncos F Colby Cave, with his fourth, via the PP, pulled the Broncos even at 6:49 of the second. . . . Broncos G Landon Bow stopped 43 shots through OT. . . . Regina G Daniel Wapple made 29 saves. . . . The Pats were without F Dryden Hunt, who drew a ‘tba’ suspension for a high hit on Saskatoon Blades D Adam Henry on Friday night. . . . In Prince George, the Cougars scored three first-period goals and went on to a 4-1 victory over the Kamloops Blazers. . . . They’ll play again this afternoon in Prince George. . . . Cougars D Mark McNulty broke a 1-1 tie with his second goal of the season at 17:49 of the first period. . . . McNulty also had an assist. . . . Cougars G Ty Edmonds stopped 23 shots. . . . D Ryan Rehill scored for Kamloops at 15:16 of the first. . . . Prior to the game, the Cougars named D Sam Ruopp as the 22nd captain in franchise history. . . .The Blazers were without F Cole Ully (flu), their leading scorer, for a second straight game. . . . In Spokane, G Taz Burman kicked out 38 shots to help the Red Deer Rebels to a 2-1 victory over the Chiefs. . . . The Rebels have won five in a row. . . . F Tyler Sandhu gave Red Deer a 1-0 lead at 14:11 of the second period and F Evan Polei made it 2-0 with a PP score at 12:55 of the third. . . . F Markson Bechtold, with his first goal, got the Chiefs to within one at 17:20 of the third. . . . The Chiefs held a 19-2 edge in second-period shots. . . . Red Deer F Scott Feser had an assist to run his point streak to eight games. . . . The Chiefs were without Hungarian D Tamas Laday, who got a two-game WHL suspension for a kneeing major and game misconduct he incurred Wednesday against the visiting Edmonton Oil g Kings. . . . In Victoria, F Axel Blomqvist scored twice to help the Royals to a 4-1 victory over the Tri-City Americans. . . . Blomqvist, who has seven goals, broke a 1-1 tie at 1:05 of the second period and made it 3-2 on the PP at 2:52 of the third. . . . The Americans have lost four in a row. . . . The teams meet in Victoria again this afternoon. When that game ends, the Americans already will have played 11 of their scheduled 36 road games. . . . Tri-City is without F Justin Gutierrez, who is out with an undisclosed injury. He didn’t make the trip to Victoria.